Thank you for your interest. The competition is now closed and the winner will be notified from Monday the 21st November 2016. 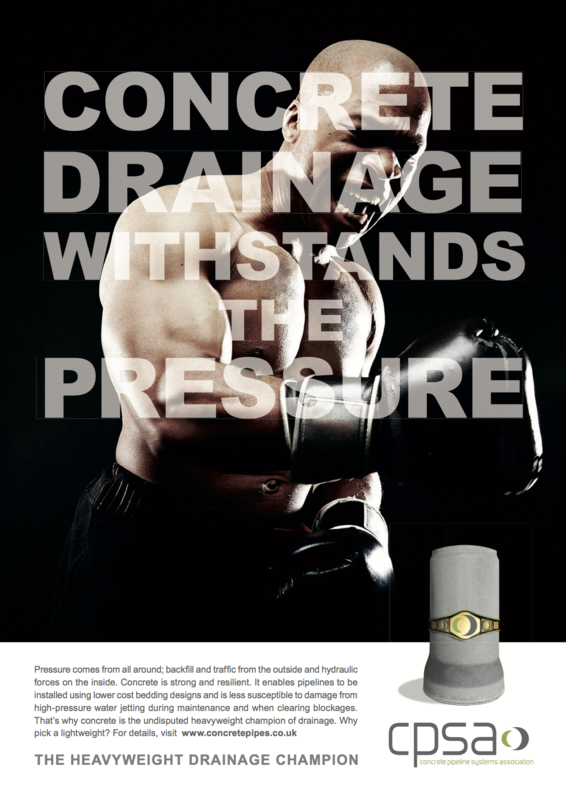 Concrete drainage products have no match when it comes to heavyweight strength, durability and installed costs. 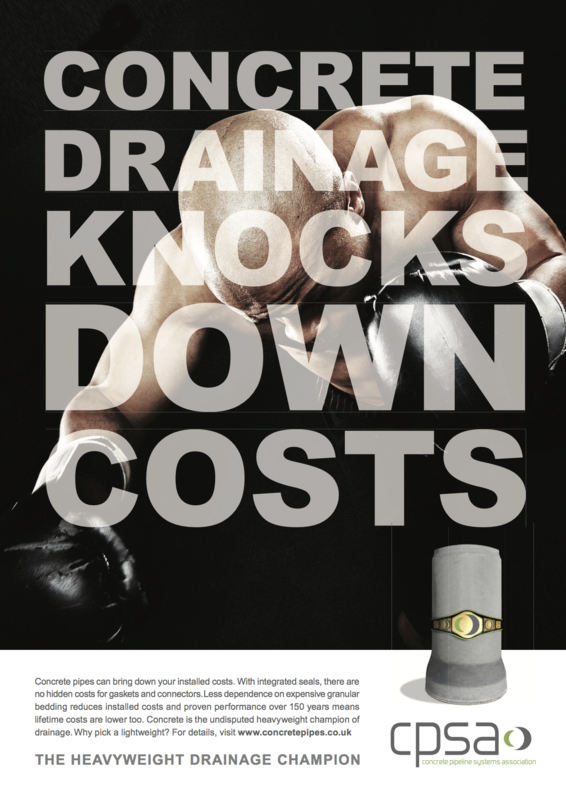 With 150 years of effective use to back its claims, concrete works hard to maintain its position as the heavyweight champion of the drainage world. 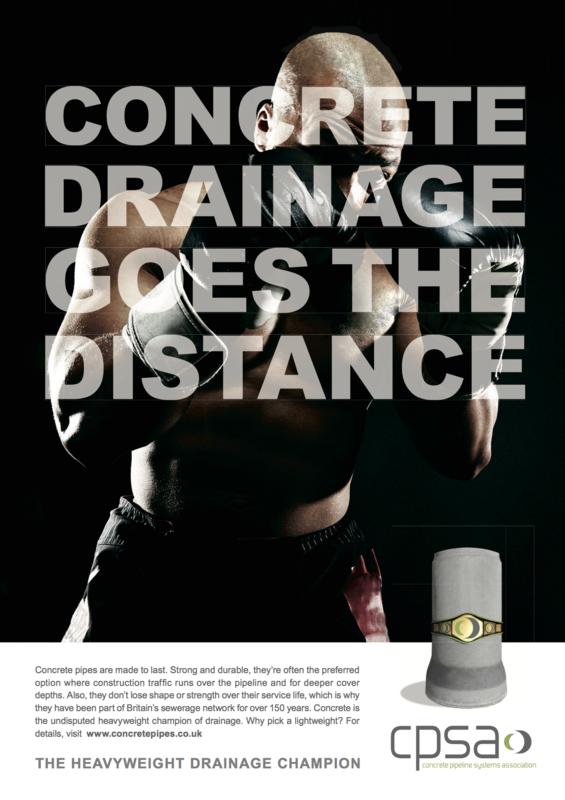 Concrete wins the fight against lightweight materials on many levels. 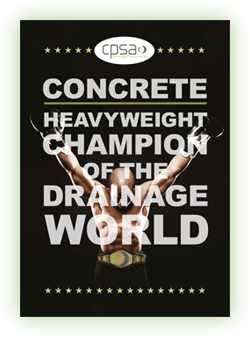 The Concrete Heavyweight Champion brochure describes concrete pipeline systems in context, considering how ground conditions, installation practices and operational challenges combine to make a comprehensive case for concrete. Download the brochure, enter the competition and look out for the eye-catching advertisements in the trade press this year. 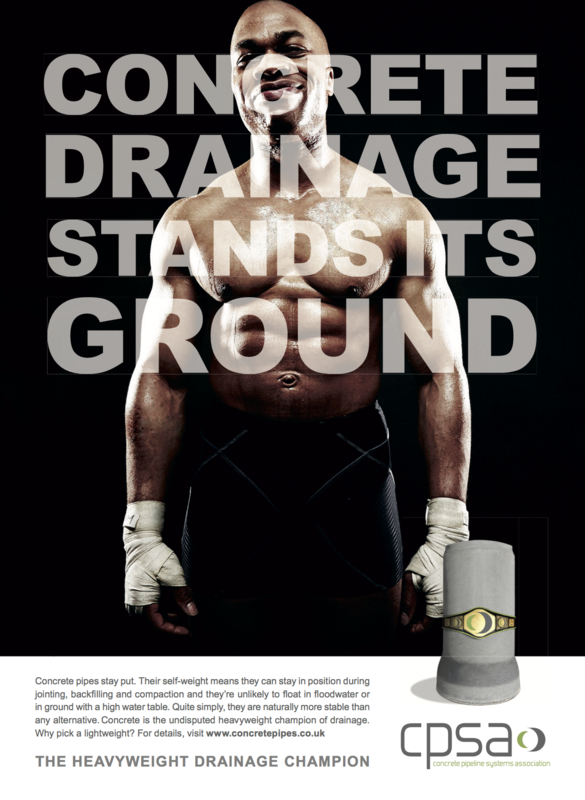 Click the adverts below to view the reasons why concrete is the best.